Country of Origin: France or UK. 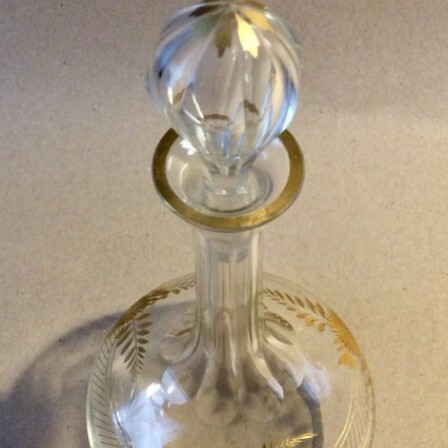 Description: Small engraved and gilt liqueur decanter. 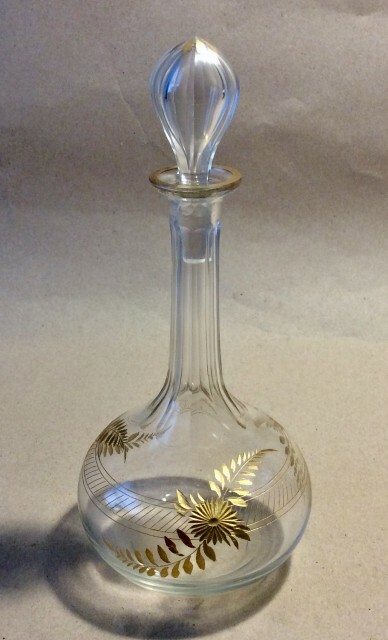 These decanters were often sold en-suite with glasses and on a tray, all with the same gilding and engraving. Gilding in good condition. No repairs or damage. 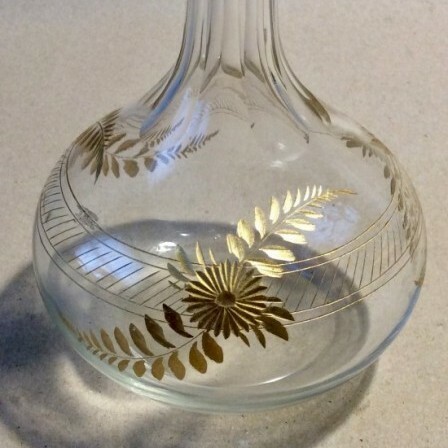 This could be a French decanter with the gilt stopper. Also made by English companies .